THE ULTIMATE HR MOBILE APP Improve the HR Experience for your Employees! Like many manufacturers, their HR department is lean. Keeping track of over 8,000 employees on multiple shifts is not an easy task. The HR associates were stretched responding to the thousands of recurring requests and doing so on a timely basis. The idea of a kiosk was considered, but canned because it did not provide privacy and training was a factor. The portal had the right information but it was designed using old technology and users needed to be on a PC to access the data. How can HR effectively and economically support their employees? Create a self-service mobile environment and empower employees to get timely answers to their important questions! • How many vacation hours do I have accrued? • I need to validate my timecard or pay stub. • Create an HR Incident if the employee doesn’t agree with the Tardy Notice! The VP of HR spearheaded the initiative. The plant managers from the various locations were key stakeholders in the project. A key metric for success – reduced number of outstanding service requests and time-to-resolve. To ensure the success and acceptance of the app, employees from all departments participated in the design and processes included in the first release. The shop floor, where most of the employees worked, were the most heavily represented on the design team. 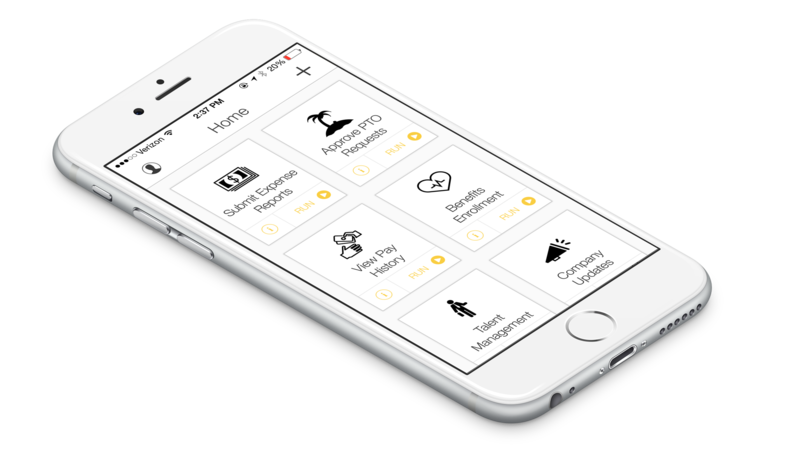 The Titan Mobile Framework allows the integration of data from multiple sources: SAP HR, ADP Payroll, and the Tardy Management system. Titan’s mobile framework provides secure, easy-to-deploy mobile applications. It enables SAP and non-SAP applications for data integrity and modeling. Most importantly, the User Interface and Experience (UI/UX) enhances and encourages self-empowering applications that support transaction processing, analytics and reporting on smartphones, tablets, and PCs. Do you want to empower your employees with mobile applications? Schedule a brief call to see how Titan’s Mobile Framework can support your business for HR, Sales, Finance, and Operations. Titan Consulting is here to advise and guide you on the right mobile strategy for your company. Contact David Geaslen at 832.422.3251, or david@titanconsulting.net or your Titan Sales Director.